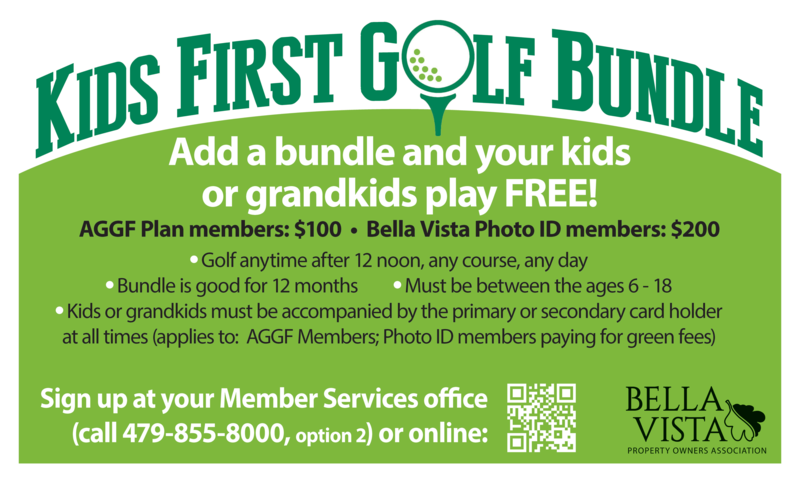 *Photo ID refers to Bella Vista Photo ID Card obtained from Member Services. See complete Fee Schedule. Rate is $20 per player including golf cart. Junior golfer rate is $14 including golf cart. A family of 4 can play 9 holes in less than two hours for $68. Play your second round of golf at any of our courses for cart fee only! Receipt from first 18 holes and email address required. Replay round must be played on the same day. Twilight 18 – Play 18 holes after 2 p.m.
Super Twilight – Play 18 holes after 5 p.m. Valid through November 3, 2019. Does not apply to tournaments or group play. Reservations can be booked up to seven days in advance.